One of the intentions of this blog is to share practices and ideas related to teaching ancient philosophy. I’ll start by sharing my own experience using roleplaying in the classroom. 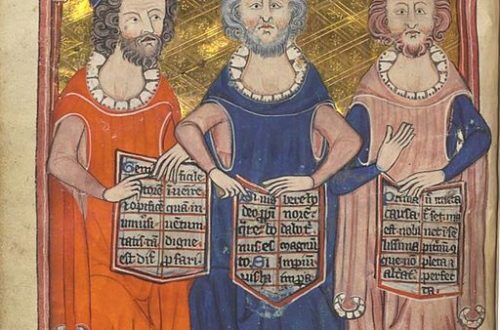 Reacting to the Past is a pedagogical approach in which students engage in a role-playing game that immerses them in a key historical debate relevant to the course. 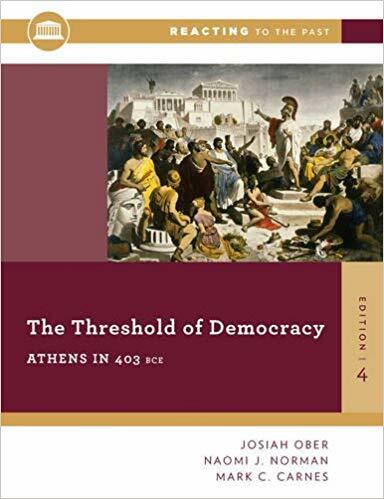 The game I used, The Threshold of Democracy: Athens in 403 B.C., divides students into democrats, oligarchs, and followers of Socrates, along with several unaligned roles. These characters are all debating how to structure Athenian society in the aftermath of the reign of the Thirty. They consider whether to grant amnesty to supporters of the 30, whether assembly members and jurors should be paid, and what the voting qualifications should be. There’s even an opportunity to put Socrates on trial! During the game portion, the class session is run by the students, who, in their assigned roles, conduct debate in the Athenian Assembly, put forward motions, bring forward lawsuits, and carry out votes. This past semester I used this game in my two sections of Introduction to Ethics. 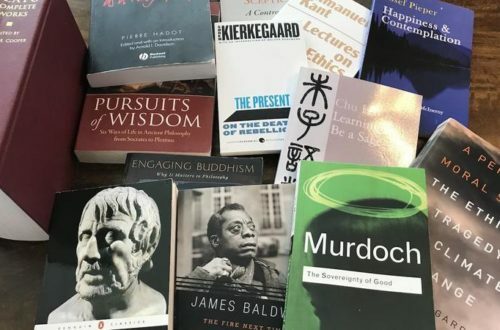 You could also use it in teaching the History of Ancient Philosophy, Ancient Political Theory, or other courses dealing with social and political philosophy and ancient history. It could also fit into a class on informal reasoning that has a public speaking component. There are real benefits to engaging in such an immersive activity. Since every student has a part and every vote matters, it encourages broad and engaged student participation. This fosters collaboration and builds positive peer pressure, as students are counting on others from their faction to do their part. There’s also a lot of room for initiative in researching characters and ideas. The need to negotiate between different factions and interests rewards interpersonal and social skills that philosophy classrooms do not always encourage. This exercise aids students in getting outside of their own heads and considering other perspectives by requiring them to defend the positions that fit with their assigned roles. It’s also fun for the students to take on the roles of ancient figures such as Xenophon, Lysias, Thucydides, Crito, Callias, and Plato (who – shhhh – may not yet be old enough to vote). It helps students to see the immediate practical relevance that many of the ideas we examine in our courses had within their ancient context. The game textbook has strong points, but also some serious weaknesses. On the good side, it includes a lot of historical context, addressing, for example, questions students might have about the roles of women and slaves in Athens. It also includes some helpful texts that students might not otherwise be introduced to, such as excerpts from Xenophon’s Economist and Hellenica. The text clearly lays out the structure and mechanics of the game. The downside is that it does not use the best translations (they opt for older out of copyright translations). In my course, I also had students buy a contemporary translation of Plato’s Republic to use and we worked through most of books I to IV before playing the game. The selection of materials within the textbook is also somewhat odd, omitting Plato’s Apology and suggesting that characters giving speeches that defend or attack Socrates should rely on the Republic. The followers of Socrates are also encouraged to take the Republic as a straightforward reform plan for Athenian society. That said, considering how this political philosophy (caricatured as it might be) could or could not actually be put into practice in Athens is still a worthwhile exercise. It can draw attention to problems that students would not otherwise consider. One significant issue is the amount of class time this exercise involves. I ran a condensed version of the game, which eliminated discussion of whether Athens should once again seek tribute from other Greek city-states and we concluded, instead, with the trial of Socrates. Including set-up and debriefing, it still took almost six 75 minute class sessions. This fit into my topic-based Introduction to Ethics class, since this class was not required to survey a set amount of material. This exercise also fit well with my Ethics class’s consideration of social contract theory in the early modern period and with our broader questions about what it takes to form a political community. It would be more challenging to find space for such an exercise within a survey of ancient philosophy, where it is already ready hard enough to find sufficient room for Hellenistic and late ancient philosophy. There are two other challenges I would note. The first is that conducting this activity requires you to be a gamemaster. While the students run the sessions of the Assembly, you need to make sure they do a good job in their roles, adjust the balance and award points appropriately, and, in generL, do everything required for the game to run smoothly. There is a fair amount of set-up involved, especially the first time you run the game. Don’t worry, though, A Dungeons and Dragons background is not required! There are lots of ways you can prepare. One of the best is to play the game yourself. You can do this at one of the many regional or national conferences or there may already be faculty at your institution with RttP experience who would help out. The second challenge is adopting this exercise to your institutional context. I teach at an urban commuter university, which means that my students are generally unable to meet outside of class to plan strategy. It can also be harder for students who have less experience doing research to inhabit roles. To address this, I gave students more in-class time and coaching to prepare and I graded their research efforts on an appropriate curve. Overall, I really enjoyed doing this exercise with my students. 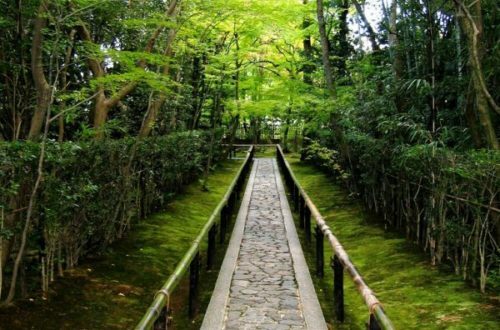 It helped them to bond and to engage one another directly, without relying on my mediation. I am planning on using the Threshold of Democracy again in my Introduction to Ethics classes this spring. If you’re interested, I would be happy to share more about my experience and the modifications I made in using this exercise for my philosophy class. I look forward to hearing from you. Also, if you have an exciting approach to teaching ancient philosophy or a pedagogical innovation you’d like to share, please be in touch! I am looking for guest posts. I will also be sharing some exciting exercises others have developed soon! I’m curious–did you do a session at Barnard’s summer RTTP program before incorporating the games into your courses? Do you have access to the RTTP FB and website archives? I drank the koolade this past summer and played the Athens game at the RTTP summer seminar (with lots and lots of classics faculty). Lots of valid points above, esp. about the oddity of using the Republic (or for that matter Xenophon’s Oeconomicus). I think students would have been much better off with more of Xenophon’s Hellenica and selections from Aristotle’s Athenian Constitution (to see how things actually turned out). But I can see that they are modelling this game for someone who is teaching the Republic in, as you note, a theory, ethics, etc. course. Definitely couldn’t (and wouldn’t) put this in an anc phil course. But I have the luxury of teaching in my history department, and am thinking of using the Athens game as the conclusion for a semester-length upper-level elective on 5th century Greek history (viz., Pentecontaetia through death of Socrates). But what you gain in decision making/oral/interactive components, you lose in terms of course coverage. I agree with your suggestions on adding more Hellenica plus Aristotle’s Athenian Constitution. I think you’re right that it’s pitched more at an intro level or a broader theory level. You’re also probably right that there’s not enough relevant upside to make up for the sacrifices that would be involved in putting this in an anc phil course. It’s a good idea as a culminating activity. In an upper-level elective like that I’d probably want to give the students some more flexibility and leave a lot of options on the table for creating laws and discussing issues instead of the more rigid agenda in the standard game schedule. I also think there are ways to use some of these ideas and mechanisms to create other philosophical roleplaying games. I’m working on a philosophy as way of life game, involving the various ancient schools-more on that next semester. David Curry has an essay on teaching this game in the new Philosophers in the Classroom anthology from Hackett. Thanks for letting us know- I’ll take a look at that.